We live in a wide, wide world of choices. From your decision at the coffee shop, to the style of pants that you choose to wear. From the way you spend your 9-5, to relationships and all that they entail, your brain pretty much has to be on, all the time. And every decision seems even more important than the last. What on earth will happen if you don’t make the right decision at the right time? Well, first things first, the world won’t end. And if you choose your ideal flooring solution with Knox, you’re guaranteed to love whatever style you’ve chosen. We ensure that we stick by your side throughout the entire process, from choice of style through installation. We also guarantee a well-curated and extensive selection in inventory, so no matter what your choice of aesthetic, you will find one that works well for you and your property. We like to routinely profile different flooring styles on the site to discuss the highlights and benefits, to give you the extra insight into whether it’s the one for you. Today, we profile timber flooring. Timber flooring is both durable and elegant. Just like fine wine, it only gets better year over year. While some wooden floors can seem cold, the timber style specifically gives a unique warmth to every room that it graces. Its durability makes it a sound purchase. Not only will it last generations, but it will add value to the property that you’ve already invested so much in. Timber flooring is also one of the lowest maintenance styles around. Where some types of carpets serve as the humble abode for all kinds of creepy crawlies like mites, as well as mildew and mold, timber doesn’t have any such challenges. Timber can be cleaned on a daily basis with a basic floor cleaner, no crazy concoctions needed. 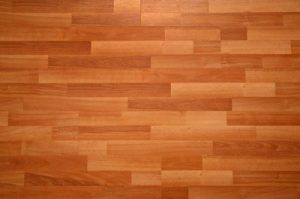 Wondering how to clean your timber flooring? We recommend combining a few drops of dishwashing liquid with water and mopping as often as you see fit. Your floor will shine and so will your smile. Though our timber flooring choices are all scratch resistant, should you run into one, you can easily renew the finish of the wood with a light coat of urethane or by using fine sand. As if all of these benefits weren’t enough to sell you on timber flooring, it can help you limit your carbon footprint. Thanks to the new methods in the industry for farming timber, it has a minimal effect on the world’s environment. Bonus? Timber can be recycled or reused from old wooden boards in buildings no longer in use. The long and the short of it? Timber flooring is a great investment, durable, easy to clean and a timeless look of pure beauty. Haven’t sold you on it yet? Give the Knox team a call. We’d love to talk through the flooring solution that will work the best for you and your loved ones.